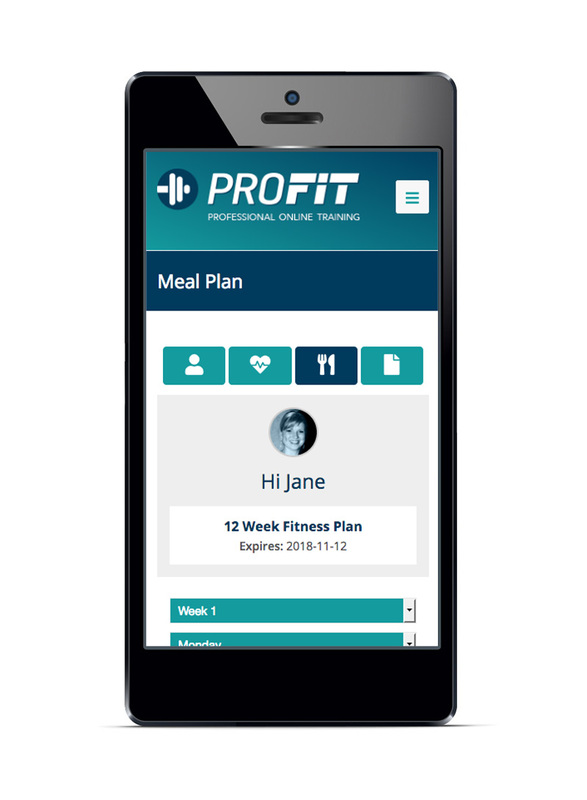 Once you have chosen and registered with one of our online Trainers, he/she will create a Meal Plan to suit your dietary and nutritional needs, as well as an Exercise Programme. You will be able to view these once logged in to our website or on your phone with our free App. It takes all the guesswork out of planning your meals as each day’s meals for the week can be viewed when shopping for ingredients. You will be able to see the calories and kilojoules for each meal, as well as the protein, carbohydrates and fats. Your online Trainers will modify your diet regularly to take account of preferences, as well as your body condition, as he/she reviews your progress. 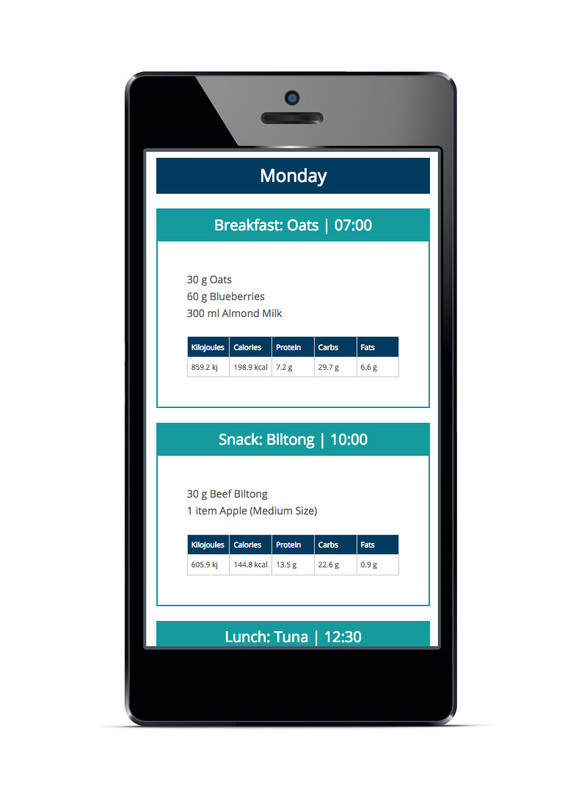 The screenshot shows a sample of a day’s meals for a sample client. Your’s will be tailored to your specific needs.